I have been pondering writing this post for a few weeks now as I consider my blog to be mostly about books, book trailers and reviews and I tend to shy away from anything else. However as reluctant as I was to share this post I now feel compelled to. So, for what it is worth, these are my thoughts on the current discussions surrounding the New Zealand Book Awards for Children and Young Adults and the lack of the Children’s Choice category this year. Along with many librarians up and down the country we received the official statement regarding the reasoning for not having the Children’s Choice category. And I get it. I totally get where the committee are coming from and appreciate their reasoning but there is one side of the argument I want to share as I do feel the need to stand up for schools and librarians. One of their reasons was that they “have witnessed a marked decline in the number of schools participating in the past few years”. I don’t dispute this at all but here is something to consider. These are my own thoughts based on being a school librarian, a writer and someone who has worked in a children’s bookshop for ten years. Sadly, schools are not obliged to provide a library or a librarian, qualified or not. At secondary level the majority by far employ a full time librarian and can get behind events such as the book awards. I am in the minority as a primary school librarian who very fortunately gets to work full time. Many work less than 25 hours per week, and there are those where a librarian is employed for only an hour a day and that is to cover the lunch break only. How on earth are they going to try to organise voting for children’s book awards with so little time. It is completely out of the question. Emails from places like the book awards people don’t always make it to the librarian if they are only there 2-3 days a week with limited hours so they miss out on information. Working such limited hours also means they are reluctant to attend network meetings with other librarians so again miss out on information. We also know there are schools without a librarian at all and those without even a library. This breaks my heart but that’s another post! Surely if our education system wants us to focus on literacy, then a well-staffed, well-stocked library is a must. It should be funded by government and not one of those things that gets left behind when schools try to juggle budgets. As a librarian with a limited budget I do not, nor ever have, just gone and bought all the books on the finalists lists. I buy the ones that I believe children will enjoy and the ones I can afford. In the past I encouraged children to vote. I had big displays and discussed the books with my students. We posted off the postcards and in later years the library computers had the voting pages bookmarked for easy access. What the children loved about the awards was their chance to vote, to have a voice. Their voting they knew, could make a difference. In the bookshop where I worked, again we had displays, voting forms. We always had a night put aside and held a public panel discussion on the award books and picking our own winners. I was also a committee member for the Christchurch area in the days of NZ Post Book awards and we organised many events, one time even making it on to the national television news with an event. As a writer with a novel in the Children’s Choice category a few years ago, I can tell you, that the fact that children had chosen my book themselves meant more than anything in the world. It didn’t win but it didn’t need to, because in my heart, the fact that children had chosen my book as a finalist and put me in the finals, was more than enough, more than a dream come true. So I do feel for the current situation and understand why the choice may have been made, but I think it isn’t always clear cut why schools might not participate and that does matter. It matters because children’s voices determines what actually gets read and at the end of the day, isn’t that what is most important, our readers. 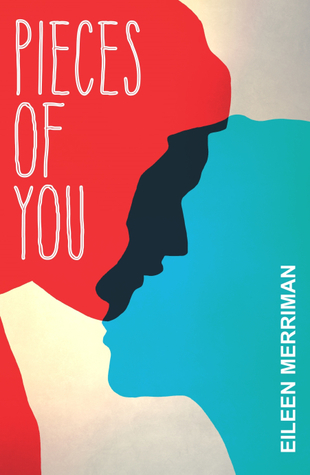 Lots of favorable reviews for this young adult book. Faces lots of different issues too which add to its appeal. I love how you can even try before you buy with a link to reading the first chapter. Themes of mental health and self-harm are part of this novel so be warned that because of these themes this is for readers aged 16 and up. That said, I am keen to read this book very soon. Gritty, real and current. I do love books that tackle difficult subjects as this one does. Check out the trailer and perhaps go and read the first chapter in the link above. I have to say, I think this picture book is beautiful. The illustrations and its many multitudes of blues is simply stunning. The story of twilight with many different birds and animals coming out from their hiding places is gentle, peaceful with a sense of magic and awe. The first end pages show 32 dabs of blue, much like paint test pots showing the many different blues used throughout the book. 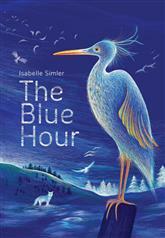 It is not often we see a picture book using mostly one colour, but here the different intensities of blue help create a wonderful mysterious world. Beautiful! I feel as if I am standing on the edge, looking in and watching a secret world unfold before my eyes. The book trailer is just lovely and the music very tranquil. Very soothing. What an absolutely charming and thought-provoking picture book. 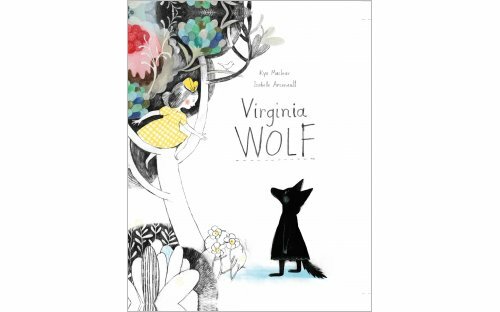 Gorgeously illustrated with careful consideration given to the choice of colours to help show the different moods and feelings of young Virginia. Some days Virginia feels wolfish and growls at her sister to stop making noise as everything is just too much for her. The sound of teeth being brushed is too much and even the birds chirping is too noisy and distracting. Such sadness is difficult for Virginia to live with and all she wants is to curl up in her bed and be left alone. For Vanessa it is painful to watch as her sister crawls slowly into a world of her own. But sisterly love is strong and Vanessa tries everything to help her. Beautifully written but just as important, it is great to see the topic of depression being discussed. More important than anything is the lasting impression of hope. Hope that things will get better and they do. Perfect ending. Meet Virginia, who is feeling particularly wolfish today. Somehow, her sister Vanessa must help her feel better. But how can one girl save another from turning into a grumpy, gobbling wolf? The only way to find out is to pick up a paintbrush and see where your imagination takes you. Loosely inspired by sisters Virginia Woolf and Vanessa Bell, this stunning picture book is a testament to the power of creativity to inspire and heal, and to the loving bond between siblings. 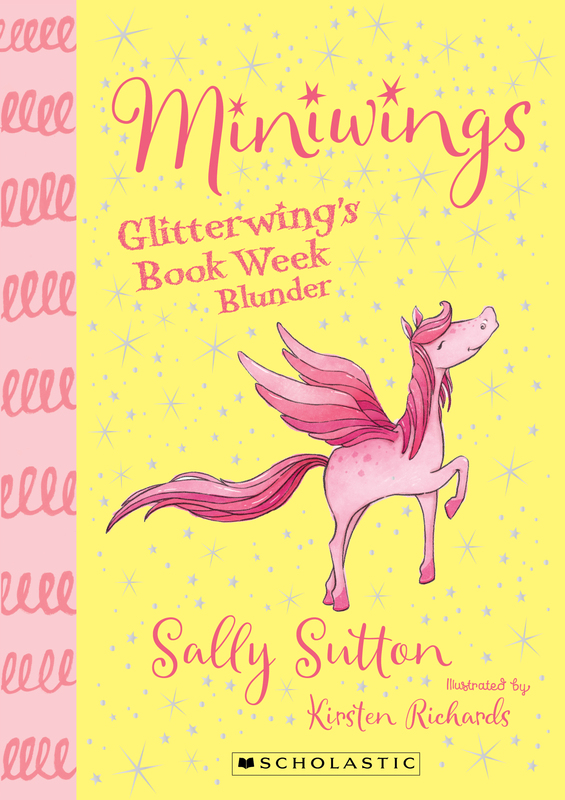 The miniwings are little, winged toy horses who secretly come to life but only when adults are not around. Actually when adults are not in the room the little horses get up to all sorts of mischief and cause chaos for sisters, Clara and Sophia. There are six miniwings, each with their own special features. Glitterwing, the prettiest, rains down colourful glitter but don’t be fooled. It isn’t just pretty glitter; it makes you sneeze. Then there is Firestorm who with his trickery just might leave slugs in your bed. Together the six miniwings will turn the easy simple day to day tasks of going to school into a disaster. Clara and Sophia can’t even tell anyone about them or blame them for the trouble they cause, as no one knows they exist. Well, there is one person who might know and who might turn out to be useful in times of chaos. These are gorgeously illustrated first chapter books for newly independent readers, particularly young girls, although I do know some boys who would love these just the same. 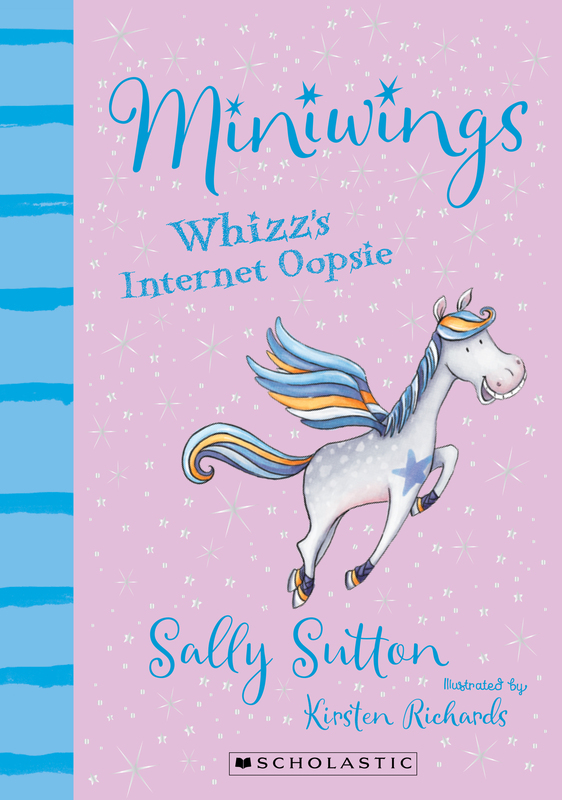 The books are funny, naughty, a little bit delightfully girly, but definitely a good read for readers aged about seven. Good series for this age group are often hard to find but I suspect this one will be a hit. Trying to come up with a costume for book week proves to be quite a problem for the girls especially when the miniwings get involved. A visit to the store turns in to a real disaster with the shopkeeper taking a tumble because of the miniwings. And then its is just one thing after another for the girls. Warning: If you ever come across a Miniwing, don’t let them anywhere near a credit card. If you want to know why then check out the second book in the series where once again the miniwings cause trouble for Clara and Sophia. 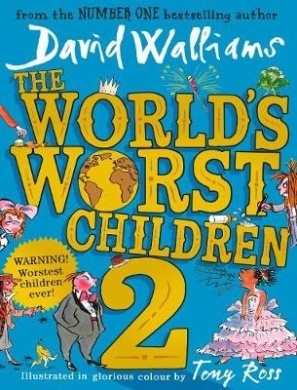 Humour is David Walliams forte and he does it once again with style in his latest book about the world’s worst children. They are all indeed horrible, incorrigible, selfish little rat bags. There is nothing PC about these books which makes them funny and perfect for children. Sometimes the world of political correctness gets in the way and ruins a good story. Sometimes, particularly with the way of the world these days, we just need an excuse to laugh. This book gives us permission to do just that. The burping, farting, greedy children whose social skills are totally lacking, do get what they deserve in the end which I kind of like. 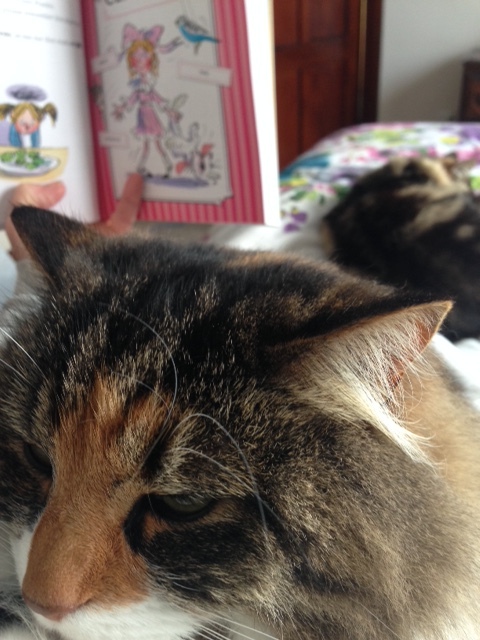 While trying to read this book this morning my cats decided they would keep me company. The story I have pictured here just happens to be about Cruel Clarissa, a girl who was absolutely awful towards cats. She would pour pepper on their food, tie two cats tails together and many other nasty things. I don’t think my cats were very impressed with Clarissa’s nastiness. Great for readers to read on their own but even better, this is perfect to read aloud and share with children, grandchildren and classes at school. Tags: Children's picture books, Paul Beavis, What are you supposed to be? 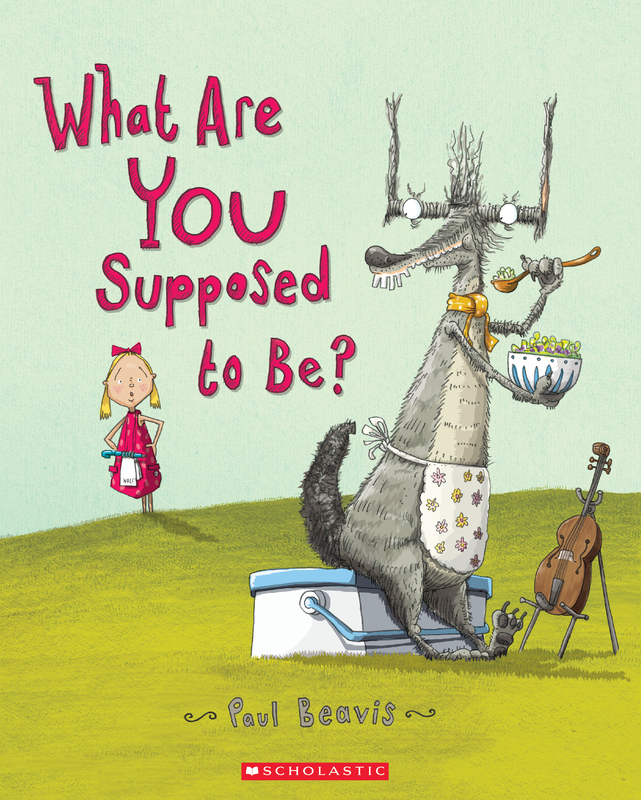 There is so much to love about this new picture book by Paul Beavis. The wonderful warm colours, the gorgeous quirky illustrations which totally capture the characters and their personalities. I have been a fan of Paul Beavis for some time now and I do think he just keeps getting better and better. but what happens here is the story of an inquisitive little girl who is determined to make the not so wolf-like wolf more like a real wolf. I love her determination and wolf’s matter-of-factness that he is just fine the way he is. Their expressions are delightful. What makes this book special though is the realisation that you can be true to yourself. You don’t need to change anything about yourself for anyone else. A lesson many adults still find hard to learn. This is a wonderful picture book to share and read over and over. Look out for wolf’s tongue and the funny way it keeps sticking out. Cute and funny. I love this book so much I asked Paul Beavis a few questions and you can see his answers right here. Your illustrations have a wonderful mix of quirkiness and warmth. How hard is it to get that mix just right? I find it very hard. The major issue is trying to get what’s in your head onto the page, I suspect most illustrators have the same thing. Oddly enough the wolf character came fairly quickly, he was originally meant to be part of a 3 Little pigs animation thing I was developing in the late nineties, nothing came from this but I filed away the wolf drawing as I thought he had something. The little girl character design was a nightmare to get right. Like casting a film you know the right one when you see them, but I have to draw them first. Once Scholastic were on board with the project I had Lynette and her team’s experience to help me decide which character designs were worth following. Also involved was Vida Kelly, Art director supreme. I’ve worked with Vida on all my books and she has the magic ability of nudging me in the right direction. She gives me the confidence to follow an illustration idea that I might doubt but she knows with a little work it will shine. There is also with almost of all of your books a sense of mischievousness to them. Did you get up to much mischief as a child? Well I always imagined I was a good boy/teenager. But my fiancée is a school teacher and having told her some of what I got up to in and out of school she is less than impressed, she would have marked my card very early on. However my Dad, who was pretty smart, never knew that all the football practices I said I was going to were in fact detentions. What comes first – pictures in your head or the story? The character always come first. Be it a drawing of an odd looking wolf or an old lady in Mrs Mo’s case, they both stared back at me and I wondered what’s your story? This happens very rarely as I’ve drawn hundreds of faces/characters over the years. After I have my ‘star’ the real challenge is to find someone for them to act against. Then the story evolves with me speaking to myself (in my head) and writing down the dialogue, I churn out of lot and then edit this back down to find the basic bones of a story. The hard work then begins of trying to make a story that can be read multiple times while hoping against hope that it will resonate in the readers mind. If you could have dinner with any character from any book who would it be and why? Well based on my behaviour as a child, I reckon an afternoon with young George from the Roald Dahl book George’s Marvellous Medicine would be interesting to say the least. I’d hope to go toe to toe with him on some of my questionable deeds, although I will say that I have never poisoned an elderly relative. I’m assuming dinner would be a burger and coke, and if we go back to the 1980s when I read the book we’d find ourselves in either A Little Chef or a Wimpy Bar, both were pretty grotty by today’s standards but I felt ‘proper posh’ going in them as a child. What advice would you give to children who want to write or illustrate? Write, write, write, draw, draw, draw. More importantly don’t worry if it’s not right the first time, this is so crucial to remember so I’m going to say it again don’t worry if it’s not right the first time. Because the great thing is that you don’t know how good you’re going to be, if you knew already where would be the fun in that? Think of it as a big adventure, at the moment you are just wandering towards a mountain stepping through endless fields of cow dung (or dinosaur dung if you want to add a bit more excitement) but each of these stinky fields you make through makes you stronger. Then one day you’ll find yourself stepping on the mountain path and all sorts of possibilities open up. Brilliant. Thank you Paul for taking the time to share your thoughts. I love that your dad thought you were at football when you were actually in detention.